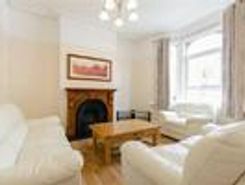 A tastefully decorated two bedroom first floor flat within a Victorian property. 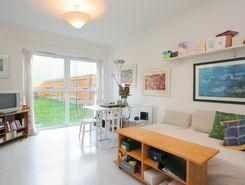 Situated within a few minutes walk of both Clapham North and Stockwell Tube Stations. 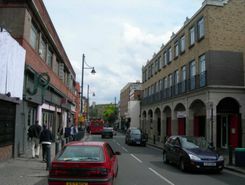 The various popular amenities of Clapham High St are also within easy access. Furnished. A fabulous four bedroom terraced Victorian home located minutes from the centre of Brixton. This beautifully refurbished home offers good sized equal rooms and is ideal for sharers. 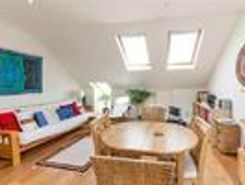 Property briefly comprises of oak wooden flooring throughout a . A stunning one bedroom split level apartment with balcony set in a new development in the center of Brixton. Located one minute walking distance to Brixton Tube this stunning apartment is finished to a high standard. Inside the apartment you will find . A brilliant and spacious one double bedroom property on the popular Arodene Road, just off Brixton Hill. It?s positioned a ten minute walk to Brixton Tube so will enable an easy commute via the Victoria Line and local buses to London. This stunning . Very well presented Victorian 4 bedroom house situated on a quiet tree lined street 5 minutes away from Brixton Town Centre. The property benefits from double bedrooms, kitchen/breakfast room, Bathroom and additional wc, d/glazing front & rear gardens. Available 31st May. A well presented one double bedroom ground floor flat within a private development on Ferndale Road. 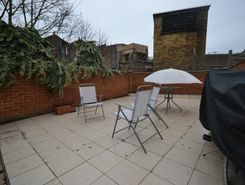 Moments from Clapham North Tube Station this bright and spacious flat is in good decorative order comprising double bedroom with built in storage, living room with dining area, tiled bathroom and modern fitted kitchen and private rear patio leading to large communal garden. 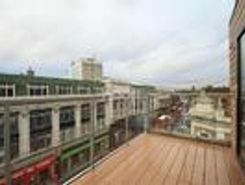 Property website TheHouseShop have used their expert knowledge of the Brixton in Greater London property market to help buyers, sellers, tenants and landlords save money when advertising and searching for property available online. Estate agents, online-only agents, private sellers, private landlords and property developers can all list properties for sale and to rent on TheHouseShop.com, as it is the only property marketplace in the UK to accepts listings from both professional agents and individual homeowners. Whether you're a seller, a landlord, or an estate agent, you can use TheHouseShop property marketplace to advertise your properties to tens of thousands of buyers and tenants who visit the site each day looking for property in Brixton in Greater London and the surrounding areas. Homeowners can choose from a number of marketing add-ons to boost their property advert and sell or let their property faster. TheHouseShop have helped thousands of Brixton in Greater London's private landlords to find great tenants quickly with our free tenant-find service. With a huge selection of private and professional rental properties available on TheHouseShop marketplace, renters can find flats, detached houses, terraced houses, apartments, bungalows, maisonettes and more. With a huge variety of affordable property to rent in some of Brixton in Greater London's most sought-after locations, TheHouseShop acts as a marketplace for renters where they can find rental homes that meet their budget and requirements. Visitors to TheHouseShop will find a variety of Brixton in Greater London rental properties available to rent direct from the landlord including DSS rental properties, studio apartments, flats, 3 and 4 bedroom homes, semi-detached houses, terraced houses to rent and more. Tenants use TheHouseShop to find a unique selection of rental property direct from landlords as they won't be able to find these properties to rent anywhere else online. Renting property in Brixton in Greater London is hugely popular and home-hunters can save money on administration fees by renting direct from the landlord. 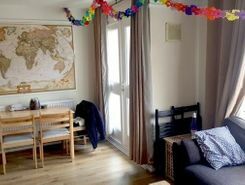 Tenants looking for cheap flat shares in Brixton in Greater London will find a selection of affordable rentals in TheHouseShop's Flat Share section. 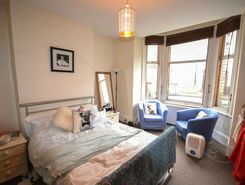 Renting a property in Brixton in Greater London can be expensive, but tenants can find affordable Flat Shares in Brixton in Greater London's best locations for a fraction of the price of a whole property. 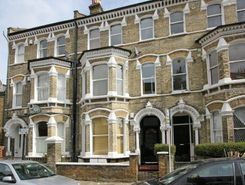 Tenants can use TheHouseShop's guarantor service to help secure their perfect rental property in the highly competitive Brixton in Greater London rental market. TheHouseShop offer a free online rent calculator to help private landlords in Brixton in Greater London find the true value of their rental property. Private landlords using TheHouseShop can also access a variety of landlord services such as tenancy contracts, landlord insurance products, tenant referencing and rent guarantees. Tenant referencing on TheHouseShop allows landlords to screen tenants with rental credit checks and affordability calculations to ensure they find the best tenants for their rental properties. 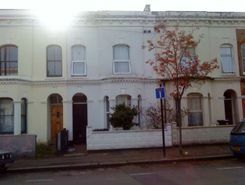 People looking for rental homes in Brixton in Greater London can create a property alert on TheHouseShop.com and receive email updates anytime a new property to rent appears on the site. TheHouseShop showcases a selection of cheap Buy To Let properties in Brixton in Greater London from professional and private advertisers that would make excellent investment options for landlords and BTL investors alike.